For the guests who stay more than two nights, the residence “Le 6 A” makes available a Vespa bike and two helmets to tour the city and the Karst freely. An original, unique way to play the tourists!You will hardly forget your three-day stay rich in emotion, tradition and relax in a Dolce Vita style! 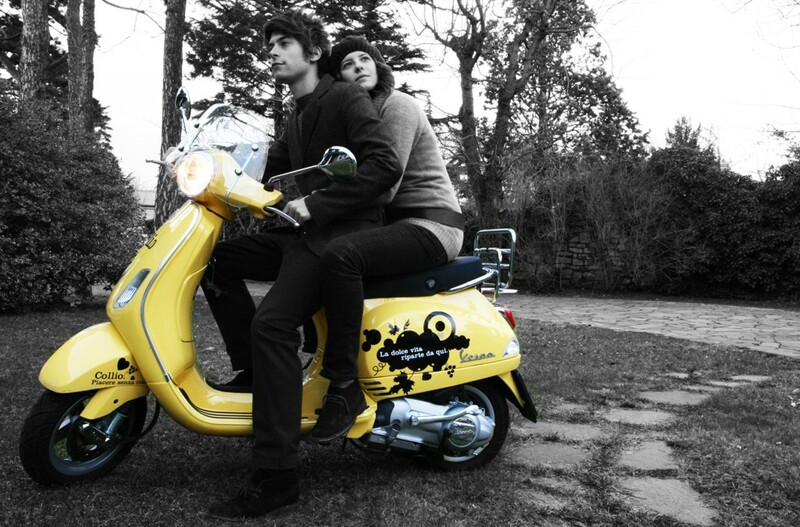 Please ask if the Vespa is available at the time of your visit. The lovers of food and wine will be spoilt for choice among several typical local products. With the flavour of our land in your mouth, wandering in the characteristic streets of the Karst, you will reach the most charming tourist sites: the Giant Cave, listed as the largest tourist cave in the Guinness of Records; the Karstic House; Carsiana Botanical Gardens; the Rosandra Valley with a practice rock wall. And why not treat yourself to a fantastic wellness centre specializing in relaxing therapy. Finally, you can’t miss a taste of a typical Karstic menu to relish the authentic “Flavours of the Karst”. You will hardly forget your three-day stay rich in emotion, tradition and relax in a Dolce Vita style!